Here is my invitation for your company to participate this research: Organizational Cross-Cultural Adaptation. We are conducting the survey to study the best practices of organizational cross-cultural adaptation of firms operating in foreign markets as part of our vision to reach out and service the business community. The project will provide a tremendous managerial implication to multinational firms who are facing challenges in their overseas operations and ultimately help to enhance their competency in the global market. The project will be conducted through on-line survey. The company employees will fill out the survey and it will take them about 30 minutes to complete. As our appreciation for your support of the study, we will provide an aggregate report to assess the strength and weakness of the cross-cultural adaptation of your company, and our recommendation for the areas of improvement. The study would be used for publication in academic outlets. The publication will ensure anonymity of all participants and your companies. Click above presentation for additional information about this project or contact me for more! After the exciting and cheerful PhD hooding ceremony, I am now officially titled as a Doctor of Philosophy. I am delightful to achieve such a milestone in my life after four years of studying in the doctoral program in Georgia State University. I would not say that it has been easy for me to get here. I am yet to be a successful researcher in my field as I am still struggling with to get my first academia journal publication. However I would say that I had an enjoyable experience during these years pursuing my doctorate, while being a first-time mom to raise my son from a crying infant to a happy little man, and assisting my husband growing his photography business. I have been extreme fortunate in my path to achieve such milestone: I am fortunate to meet Dr. Tamer Cavusgil as an undergraduate student in Michigan State University, who is a distinguished scholar in the field of International business and led me to the path of PhD over a decade; I am fortunate to meet Dr. Leigh Ann Liu, my faculty mentor and advisor, who opened the door to the intriguing subject of cross-cultural management and inspired me in many ways as a researcher; I am very fortunate to have my supporting and hard-working spouse, Zac, who helps me getting through these years without complaining; and I am very fortunate to be in a doctoral program which allowed me balancing my life and study. Very soon, I will begin my new life as an assistant professor and face other new set of challenges. It is time for me to reflect what I have learned from my PhD program and hope I can apply them again in my future career and life. In particular, what are the most important factors to make my doctoral experience as a cheerful and memorable journey? Majority of doctoral program in the United State is very well structured with seminars. We learn various research methods and literature before we start our dissertations. However, we often have to deal with ambiguity and confusion during our study. At the beginning of my program, I had very vague idea about research and did not know what I would be interested in. Unless some advisors would like their students to carry on researches based on their agenda, it is often up to us to identify our own research subjects which interest and inspire us to explore and discover. Like entrepreneurs, we will identify opportunities and challenges, develop an actionable attack plan, grow “thick-skin” from rejections, seek for supporting resources, and learn the right way from many trials and errors. With such spirit, we can get away from all those frustrations from rejections and failures, and keep us going in high spirits. In my past education, I had various trainings in the subjects of management and business administration, from accounting, to finance, to process improvement, and to strategy management. However, I felt what I had been lacking is the knowledge of how people, individuals, or groups, or companies, make their decisions and behave in organizational settings. I expand my readings from management to sociology and psychology, which lead me to another world of knowledge about the software of the mind. It can be a curse for me as a researcher because I have a wide range of research interests instead of focusing on developing myself as subject expertise. However, I could not only enjoy conversing with scholars from other fields, but also apply the learning from other disciplines into my field. The continuous learning from broad (although lacking of breath) subjects enlightens me with the power of knowledge and keeps me pondering and seeking answers for my questions. It is more important to choose research subjects that we are passionate about. There are roadblocks and challenges in the path of researching. Many tasks are tedious and repetitive. The paper revising process is frustrating and endless. I have to confess: I have projects sitting in my file-drawer and feel reluctant to revisit. However, for the projects I am truly interested in, I could stay motivated and excited with the small new findings and progress. It is the passion of discovery keep me going to overcome the challenges and to stay focused. We have very limited time, while we have so many things to do with our family, teaching, researching, and socializing. We barely have time to take a break. But I would suggest anyone feeling burnout to take a break once a while. If we feel that we are stalled and going nowhere, why not stop reading, writing, cleaning, and anything we are planning to do, but watch some comedies or take a long night sleep. Yes, we need to work hard because we have pressure of publication and tenure, but we should also enjoy our life as a spouse, a parent, a child, and a friend, and spend time with people important to our life. We should treat ourselves fair, if not nice. Taking a break from what we are stressed about can often give us a new look later on. 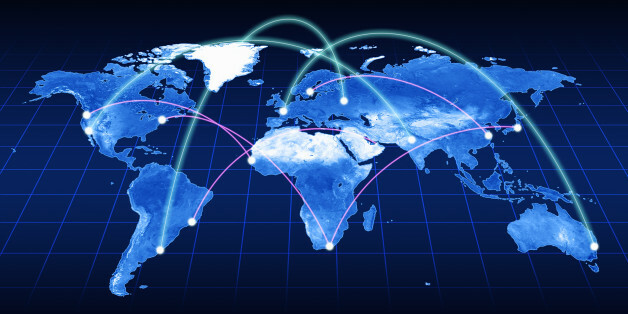 In the era of globalization, Foreign Direct Investment (FDI) has become the prevalent internationalization strategy for multinational enterprises (MNE). As cultural distance remaining a barrier for firms to achieve desired performance in their foreign operations, it is less informative as to how firms can reduce the problems caused by cultural distance from the host environment. Using the context of Chinese firms operating in the USA, this study is designed as a multiple-case study oriented toward theory development. Through the examination of the structure of the organizational social networks in the host country, I aim to arrive at a conceptual synthesis to define cross-cultural adaptation to an organization, establish its process and demonstrate its crucial role for firms to successful develop and maintain a stable, reciprocal and functional relationship with the new cultural and institutional environment. The framework contributes to the body of global management knowledge. It also provides a tremendous managerial implication to firms who are coping with the issues brought by cultural distance with the host environment and ultimately helps to enhance their competency in the global market. After operating in China for less than six years, in 2011, both Home Depot and Best Buy, two major big-box retailers from the U.S. announced the close of their stores in spite of the increasing size of the Chinese middle class. Based on this backdrop, I wrote a teaching case study “What Is Up With The U.S. Big-Box Retailers In China? The cases of Home Depot and Best Buy“, which was published at China Research Center. Both cases illustrate the typical challenges facing western retailers success in China. The big-box retailers not only need to face the challenges from their local competitors and the different practices in Chinese retail industry, but also to adapt to Chinese consumption culture. Facing the complex operating environment, both companies need a long-term vision and commitment to strengthen their brand image and create values for their customers. Check out the link for the whole article!